The Pope Video: UPDATED with translation provided by akaCatholic.com from Louie Verrecchio on Vimeo. “I believe in God, not in a Catholic God. There is no Catholic God. Deliciously Ironic, Louie! Like, WHAT Side is PF I playing for? Louie, your aka Catholic translation is more accurate then the original. It’s frightening! Also, the priest is supposed to be holding a rosary. However, there does not appear to be a crucifix on the end, but some kind of medal. Am I mistaken? I believe those are the Islamic prayer beads. Thus no crucifix. The baby Jesus is beautiful but in no way should be equated, as He is in this video, with the charms, tokens of the other false religions. This video is a wretched, heretical, abomination. Come Lord Jesus! Much more than the “smoke of Satan” has entered the Vatican. At this point Satan has a bonfire going in the Church and the corrupt clergy are gathered around making smores! Like I said on novus ordo watch, in saner times this man would be burned at the stake. Screw the PC nonsense, this man needs to cease to exist. The Pope’s shroud has no pockets! What a zionist-elitist pig this guy is. This video made me sick to my stomach. This guy is a true pope?? Arent we supposed to be in full communion with any true pope..arent there encyclicals stating the same? NO Priest: “I’m clueless.” LOL!!! They are clueless….and shame on them when they are face down before God at their judgment and try to use that as an excuse. Shame on any Catholic who failed to learn his faith and then uses the “I didnt know” excuse. Im paraphrasing here but St John Vianney said that most Catholics wind up in hell because they never knew their faith. Louie? No doubt, with the Parody, you’ll be banned in the conboxes of ChurchImpotent.com in The Ferndale Warehouse. Then, again, I am banned there as well. Seriously, though, each and every day — nay each and every hour of the day — we should pray for daily conversion to the One, Holy, Apostolic, Catholic Church, and for the perseverance in that daily conversion to the our last dying breath. Help me here, folks, but isn’t this why the Priests and Deacons prays the Divine Office, the Liturgy of the Hours, and why we must conform ourselves in part to this divine discipline of the Church. And the Church conforming itself in its Divine Office as an Icon of the Trinity with the Father eternally begetting the Son, and the Son eternally offering Himself up to the Father. The Great Apostasy could not be more clear and extreme in its defiance of God and promotion of great evil. Lord, save us. Send us holy priests. 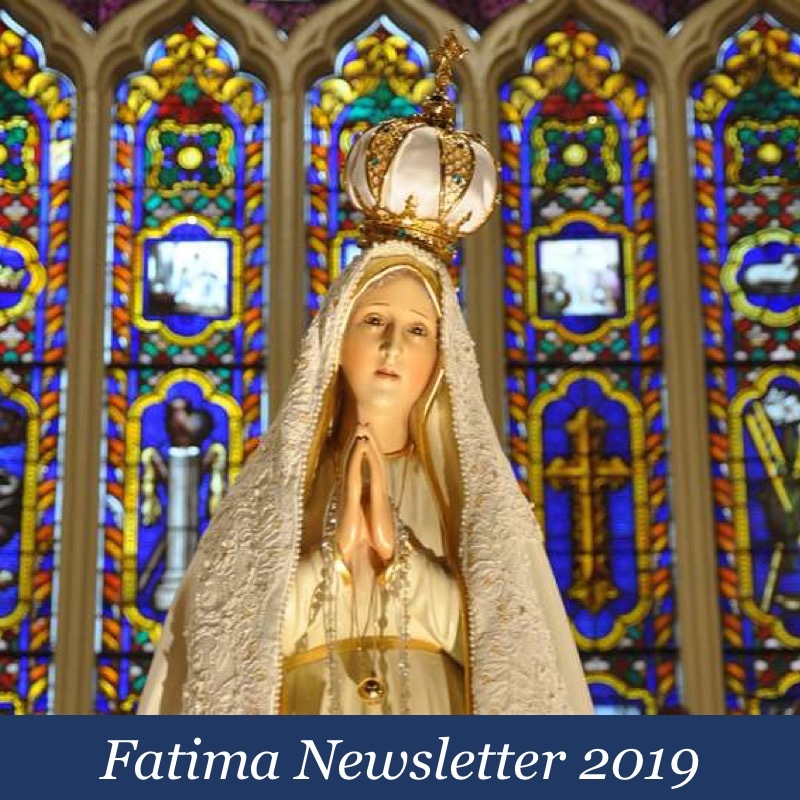 Give us the graces to do your Holy Will regardless of the persecution and to only help, never hinder, others in repenting and converting or persevering in the Faith and morals. Lord, have mercy! Louie, after the first video I actually broke down with tears from the terror I witnessed. However, the second video (your translation) allowed me to have a good chuckle. A big thanks. Sadly, your portrayal is 100% what this pope is saying and doing. I never thought I would see this day. Be ready for the one world religion coming soon. The antichrist is nigh. I wish Bergoglio would celebrate the Year of Mercy by just going away. Now, that’s MERCY!!!! So this video can be considered an implicit rejection of this teaching of Mortalium Animos, really an Anti-Mortalium Animos on steroids! Although Mortalium Animos mentioned ecumenism broadly in the beginning, it was mainly concerned with denouncing ecumenical movements among so-called “Christians” not in union with the Pope that did not acknowledge the duty of these so-called “Christians” to abjure from their heresies and enter the one true Church of Christ – the Catholic Church. Now we have so-called “Pope” Francis blowing right past the “small potatoes” of proper rapprochement between so-called “Christians” and the Catholic Church dealt with in Mortalium Animos and using the same feast day to proclaim a new false gospel. A false gospel that proclaims the universal brotherhood of man as being all “children of God” regardless of whether or not they profess a belief in Our Lord and are members of His Church and impresses on viewers that “all religions are more or less good and praiseworthy”. Is so-called “Pope” Francis permitted to contradict the teaching of Pope Pius XI (and other Popes who taught on the same topic) and actually go far beyond the error condemned by Pope Pius XI? So exactly what kind of Pope is “Pope” Francis if he ignores the fact that prior Popes have already condemned the activities and beliefs evidenced in his video, and condemned them in a manner that renders the issue as settled and no longer subject to dispute? satan always mocks Christ. 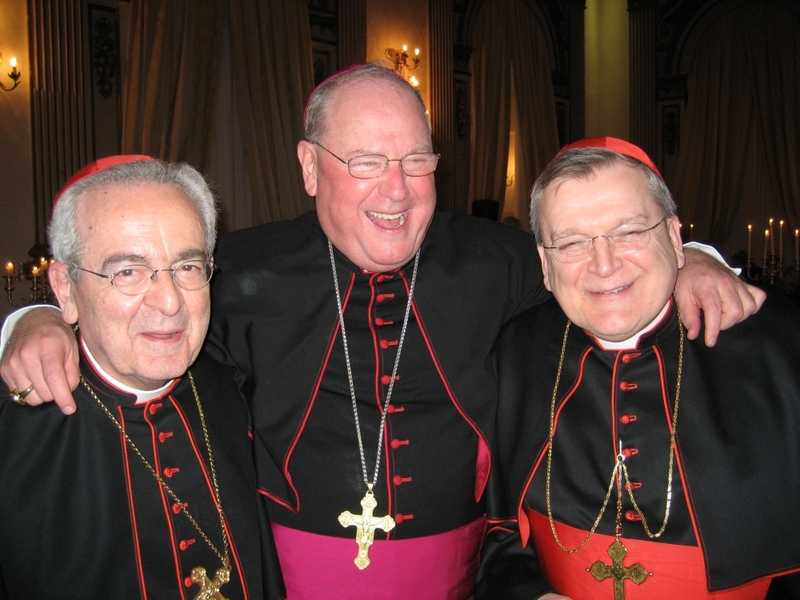 Bergoglio and his father’s in false-faith are Vicars of belial, not of Christ. 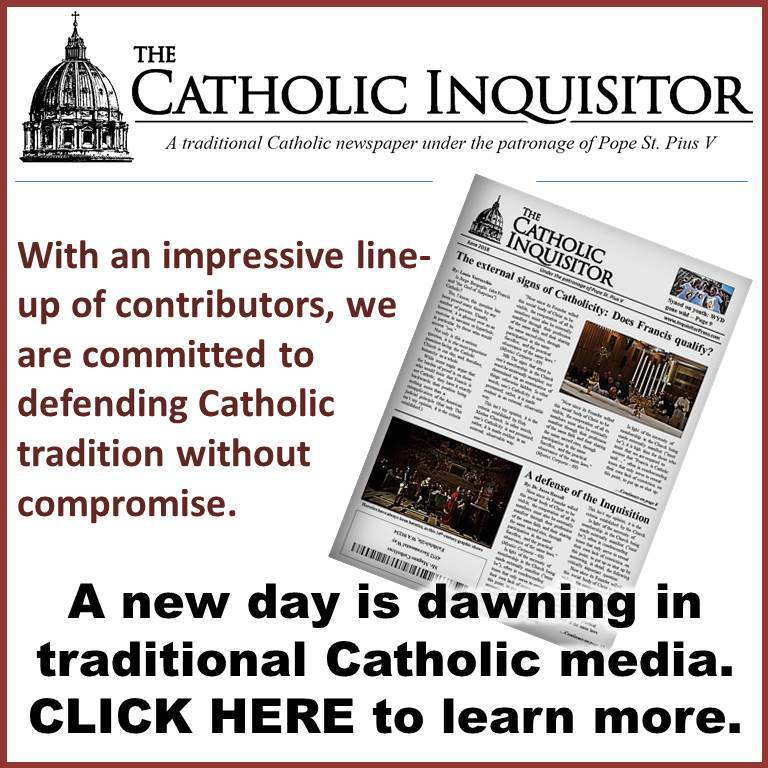 The video simply reflects the new religion of Vatican II, which is not Catholic. It looks like Popes are unfortunately ‘permitted’ in the sense that no one on earth seems to be able to stop them, so far, from doing so if they are so strongly bent in their will to do so. That is to unfortunately do bad and make errors when they contradict the teachings of prior Popes on the doctrines of the Catholic Church.Pius XII did so with his private letter to the Italian midwives when he contradicted Pius XI’s encyclical Casti Conubii on the hierarchial teachings on the purposes of marriage which led to further boldness from Paul VI in his similar statements in Human Vitae when they both began to teach that one can plan to have recourse to the infertile period in order to avoid having children during conjugal relations. This is clearly against the teachings of the Catholic Church that says that one is never allowed to plan to separate in act, word or deed procreation from unity during conjugal relations and that one is never allowed to subordinate the primary purpose of procreation to that of the secondary purpose of unity in act, word or deed. Is this right that Popes have in the past have contradicted previous Popes and even more seriously the true teachings and doctrines of the Catholic Church? No it is not right.But sorry to say it happens and has happenned nonetheless on serious Catholic Doctrines which are strongly bound to the dogmas of the Catholic Church. God bless you, Anastasia, for your constant reaffirmations of what has gone wrong for more than fifty years. Is there a way we can email each other directly? You may ask Louie for my email address, if you wish. If it needs to be said a million times, then so be it. Bergoglio nor his predececors of the VII new religion are popes. The Pope is the Vicar of Christ protected by a special charism of the Holy Ghost from teaching universal error. “In order to be Catholic, one must accept every article of the Faith. A non-Catholic cannot be head of the Catholic Church…There you go. It’s that easy. The consequences are not easy, but the argument is.” Thinkinghousewife. That so many commenters here dismiss the charism promised by Christ to His Vicar is yet another proof of the ‘those’ times Christ spoke of. When He said ‘these’ times He was referring to the last days of the Temple and Jerusalem. When speaking of ‘those’ times…the actual end of days. In all my reading, I do not recall St. Francis Xavier, St. Peter Damian, or any missionary saint ‘dialoguing” with the people they set out to convert. 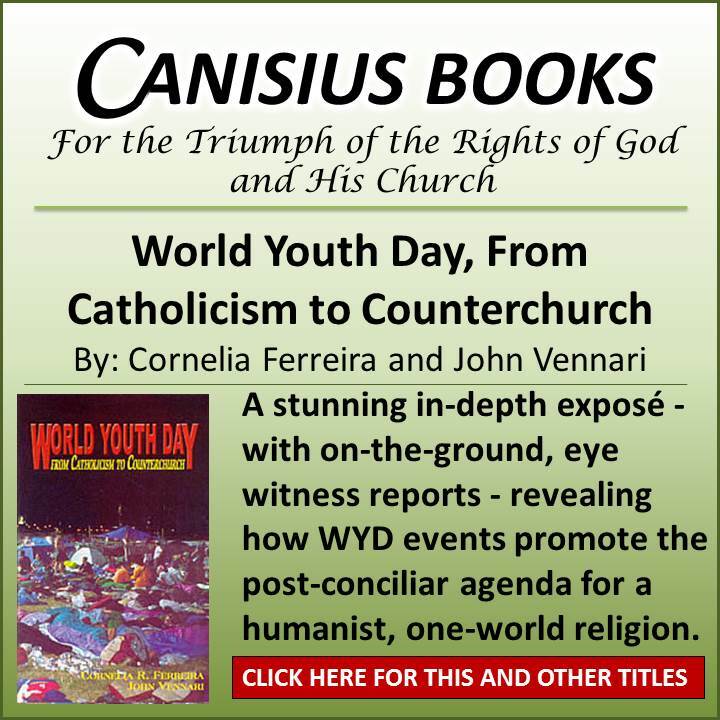 St. Vincent Ferrer walked into synagogues and declared, “Convert to Jesus Christ!” How far the Church has fallen from her mandate to ‘go and teach all nations, baptizing them…’ This is the result of the denial of the Dogma, EENS, which is the cornerstone of our Faith. We are all familiar with the four marks of the Catholic Church: one, holy , catholic and apostolic. In addition, there are four attributes, the fourth of which one will never, ever see mentioned today: authority, indefectability, infallibility and NECESSITY. An interesting aside: On the FSSP calendars they print three of the four attributes, but not NECESSITY. May Our Lady protect us. Lord, increase our faith. Well, by definition of the term “dialogue,” you have to do it. A dialogue is simply a conversation with someone. It’s just that today, the term dialogue has the connotation of being for no other end than for its own sake. From the Baltimore Catechism: “161. 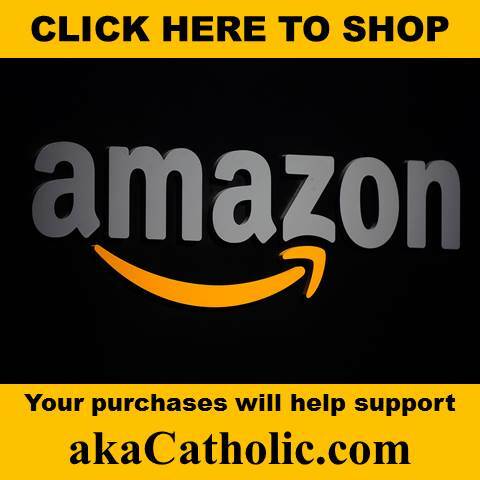 What are the chief attributes of the Catholic Church? The four attributes can be found in a three-volume txt by Fr. Joachim Salaverri entitled “Sacrae Theologiae Summa”. Do not forget, Maximus, that the later, revised editions of the Baltimore Catechisms are just that, revised. And why, do you ask? The answer is self-evident. The Church is the Divine instrument and institution by which Christ unites men to Himself for their salvation, and outside of which NO ONE can be saved. Therefore, She is necessary for salvation. Given the current state of affairs, it appears that Christ’s sacrifice on the Cross was unnecessary and in vain, since one can be saved anywhere, and all ‘religions’ are equal. Is that the only text where this appears? Concerning the “four attributes”? I can’t seem to find anything no matter where I look, or what documents I read. They talk about the 4 marks and 3 attributes. Why would they not be in the Catechisms? Something this important? I accept Church teaching, I’m not questioning it, there is absolutely no salvation outside the Catholic Church, I’m just curious about this “fourth attribute” because I’ve never heard of it and can’t seem to find anything. You seem quite knowledgeable about this, I’m a fairly young trad (21) and have a few questions that some of my Neo-Con friends bring up in conversation, do you mind if I ask you a couple questions that kinda stuck with me? To Maximus: I also suggest you google Adam Miller’s “Tower of David Ministry” and read the valuable information on his pages. I owe the explanations above to Mr. Miller, who had read Fr. Salaverri’s book. It just seems strange that the ONLY place this appears is in a book by a priest. Are there any actual Church documents or catechisms, etc. where this “fourth attribute” is mentioned or discussed? It is so hard to pray for this Pope, save for his conversion and to thwart his intentions…Lord help us – and him. This is a chastisement of the severest kind. I hear you. When we pray certain prayers that mention something like “we pray for the intentions recommended by our Holy Father”, I often kind of slow down and contemplate whether I should be saying these words as I do not want Francis’s intentions to come to fruition. To pray for Francis is one thing, but to pray with and for what he wants is another. I saw Fr. Gruner address this exact question on one of his last Q&A with John Vennari. Someone asked him how he could in good conscience pray for the intentions of the Holy Father when the pope’s intentions were not good. Fr. Gruner answered that we could pray for the “holy” intentions of the Holy Father. Then, we would only be praying for those intentions that were holy. We have short memories. Wojtyla was equally a public repudiator of Christ and His Bride. Montini repudiated the Holy Trinity with his defection to the the UN and repudiated Apostolic siccession with his Novus Ordo. Ratzinger likewise prayed with those who deny the Blood of Christ. These warlocks are Antichrists and the institution they run is not of Christ. The visible Catholic Church is no longer in the buildings occupied by the abominators. The first commandment has been mocked by every VII heresiarch, and the Novus Ordo service belongs to that mockery. 1. 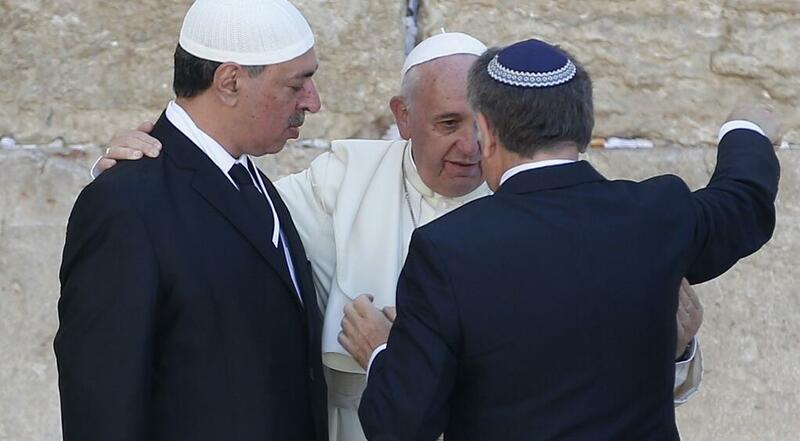 All men of different faiths can dialogue because all men are children of God. 2. “Dialogue” is the basis of establishing peace and justice. Firstly, are we all children of God? I would argue not. It would be more accurate to say we are all “creatures” of God, but even then the atheists, and maybe even the Buddhist, would as well disagree with this latter point. Does not our faith teach us that, because of the stain of original sin, if we are anything like a “child” of God, it would be an “adopted child” of God, and — again because of the stain of original sin — only if we obey God’s commandments and correctly partake in His sacraments, the latter which is a light yoke— and I only add the last point for fear of being charged a Pelagian. 2. Is peace and justice the fruit of unfettered and pristine dialogue between men? Or does “dialogue” precede peace and justice, especially justice? Again, briefly, I would argue not. Firstly, to have dialogue one must speak and bespeak a same language, an identical form of reasoning based on some identical set of beliefs, or, to use the language of the rhetoricians, “topics”. But is not the very existence of different religions a major hindrance in establishing pristine dialogue in the first place because they are radically different sets of beliefs. Secondly, on a more metaphysical level, according to St. John, is it not the divine Logos that enlightens each man’s mind, and that is rejected by some. And is not this Logos Jesus Christ? Before “dialogue” amongst men and nations there is Christ. I would argue the Logos not only necessarily precedes “dialogue” between men and nations but is the sine qua non of dialogue. And then what about the activity of God, the Holy Spirit, in converting men’s hearts and minds? Regarding “justice”, Pope Francis says nothing about the justice that man owes to God, about what it means to be put right before God, whish is the Pope’s real commission, of which he is negligent. And in being negligent of his office, Bergoglio has committed a great injustice. These thoughts and arguments are only the tip of the iceberg and probably trite and elementary to most of the readers of this comment, but I thank Louie for allowing me to share them with you. It seems to me that the teaching of Universal Salvation is implied in the calling of all people, regardless of faith, “children of God”. We know that only baptism makes a person a “child of God”, snatched back from the grip of death and darkness. If all are “children of God” as we are told in the video, then all must be saved via Baptism of Desire. This is Universal Salvation and a rejection of the Church’s true teaching on Baptism of Desire. 0214 – baptism removes original sin – the ‘gift’ of Adam and Eve. Personal or actual sin however is the inevitable consequence of existence in the domain of ‘the prince of this world’ – satan – (Our Lord tells us so). To be baptised in the Name of the Father and of the Son and of the Holy Ghost rescues us from the Original Sin. If, however, following that baptism, one does not keep the Faith, one is outside the Church, and every act of personal sin requires the Blood of Christ (found only inside the Church) for absolution. This latest video is a true shocker. I won’t bother enunciating what’s wrong with it because the vast majority of people who subscribe to this website would have enough faith to recognise pure heresy when they see it. It does raise the question yet again – What is this Pope up to? What is his ultimate plan? Is he simply an idiot or is he truly an agent of Satan? Bergoglio is not a Vicar of Christ. Imagine if for 24 for hours we had to use the title Vicar of Christ (which means Christ’s representative – lit. -Christ in proxy’)), when referring to the person we believed to be Pope? A manifest heretic not only cannot be Pope but could never be elected such, which is why even Roncalli is a Nope. How long after his open treachery were the Apostles require to call Judas a Bishop in Christ? At any rate all this rubbish obscures the fact that this Video merely reiterates the revelation of the Vatican II Novus Ordo religion. That it is antichrist seems to be, at best, a side issue. Since so much is about “optics” nowadays, is anyone else as deeply disturbed as I am with Pope Francis literally glowing as though he considers himself a deity? I do think that is the point of all this…man is now considered god. Blasphemous!! the soundtrack is all up the creek. You should be using that Beetle’s gig, what was it? ‘all you need is luv’… or was it ‘mellow submarine’? By the way, has anyone else here read the Pope’s favourite book; Fr R H Benson’s ‘Lord of the World’? Why would the pope like a book so much which ends with the complete destruction of the Church? My reply to your last post will not appear in the right place, because there was no ‘log in to reply’ after it. So I hope you see this. Fr. Salaverri’s tome has not been translated into English. It is available in Spanish, Italian and Latin. It was probably not translated into English because the English-speaking Catholics were influenced by Americanism and have never liked such facts about the Catholic Church. Remember that English institutions of learning have been liberal since the 19th century. In this work, Father makes it clear that the Church’s attribute of necessity is not simply a “necessity of precept” (which can have exceptions), but a “necessity of means” (which can have not exceptions). I wish you well. May Our Lady and the Holy Spirit enlighten you and continue to bless you as you journey to Heaven.